The very first appearance Saul Goodman makes in the Breaking Bad universe (Season 2, Episode 8) is not just funny by Breaking Bad standards – it’s funny in any context. Odenkirk’s performance in that episode and the few that followed was so good, showcasing his dramatic chops in addition to those natural comedic abilities, that the showrunners turned what was meant to be a 4-episode stint as a guest star (according to a 2013 interview Odenkirk had with Fresh Air’s Terry Gross) into a major recurring role. In all, Saul Goodman appeared in 43 episodes of Breaking Bad, right up to the next-to-last episode of the series, “Granite State”. Saul Goodman is certainly a strong enough character to justify all the screen time he received in Breaking Bad. But is he a strong enough character to carry his own show? 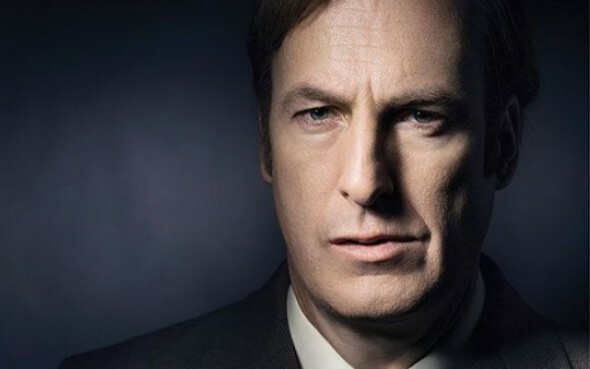 That was the question many of us were wondering when it was announced a Saul Goodman spin-off, Better Call Saul, was officially in development back in April 2013, just before Breaking Bad’s last (half) season. I, like many, had doubts. And indeed, the show was very much up-and-down in its first season. It had its highlights, sure – Saul (known in the show and henceforth in this review as Jimmy McGill, his birth name which he later changed to be more Jewish-sounding as a marketing tactic) is always charming in his signature sleazy way, Rhea Seehorn’s Kim Wexler is a refreshingly complex female character, the performances are strong all-around, and the cinematography, as it was in Breaking Bad, is outstanding. It’s worth noting as well that Better Call Saul Season 1 pulled off a genuinely surprising narrative twist by revealing Jimmy’s brother Chuck, who suffers from a strange and severe psychosomatic disorder and was portrayed for the majority of that first season as a sympathetic character, to actually be a pretty terrible guy, bitterly determined to hold Jimmy back as much as he can. Also, in both seasons Better Call Saul is smart in the way it uses the B story of Jonathon Banks’ Mike Ehrmantraut transition from retired cop to eventual drug gang enforcer and assassin to add some much needed shots of adrenaline to the show with sequences like this and this. But the main problem Better Call Saul has is that comparisons to Breaking Bad were inevitable, and despite all those action-packed Mike interludes, a show about a slightly corrupt lawyer becoming a completely corrupt lawyer was never going to be as dramatic as a show about a nebbish high school chemistry teacher becoming a ruthless drug lord. Much of the story in that first season simply wasn’t that interesting. No amount of hyper-edited montages can make a case about senior citizens being overcharged for services in a retirement home exciting (much of the latter half of Season 1, unfortunately, focused on this plotline). And tonally, the show was all over the place. At times, particularly in the first few episodes, it seemed to be trying for a high-energy, mostly comedic tone. Even moments that were inherently dark, like mid-level cartel member Tuco (another Breaking Bad alum) methodically breaking a couple guys’ legs, had a goofy twist to it (in this case, Jimmy negotiating the broken legs down from a death sentence like he was haggling over a used car). At other times, it mimed the Greek tragedy feel of Breaking Bad, though Better Call Saul was much more watered down compared to its parent show due to the significantly lowerer stakes. Another complaint: cameos from Breaking Bad characters, such as that Tuco appearance, seemed to be contrived as a crutch to keep viewers interested rather than an organic part of the plot. Season 2 has, for the most part, corrected these flaws. The tone is more consistent (about 75% Breaking Bad on the darkness scale) and the story is more engaging, a good 50/50 mix of legal drama (but without the boring particulars that bogged down the Season 1 retirement home case) and Mike’s crime story. There’s more of a focus on Jimmy and Kim’s relationship, and their chemistry is palpable. Knowing that Kim is not in Jimmy/Saul’s life during the events of Breaking Bad adds a dreadful tension to every scene between the two – something terrible is probably going to happen to Kim. The writers (as well as Seehorn’s performance) have made her quite an endearing character, so I do hope the inevitable “something terrible” involves just her career and not her livelihood. And the cameos from Breaking Bad characters this season have actually driven the plot forward rather than serve as little “Hey, I remember that guy!” moments (for example, Tuco returns and his actions actually have an effect this time, as he plays a big role in Mike’s continuing transition from cop to criminal). As of this writing, we’re 8 episodes into Better Call Saul’s second season, and I really can’t wait to see what happens in the last 2 episodes. Though I was entertained enough, I never felt that way during the first season. The other critics out there seem to agree that it’s improved, as Season 1 received a 78/100 Metacritic score (Metacritic averages the grades of prominent critics. Season 2 got a score of 85/100. If you have doubts about Better Call Saul, cast them aside. This is a show worth watching. Images credit Televisione Streaming licensed under CC BY 2.0, AMC.